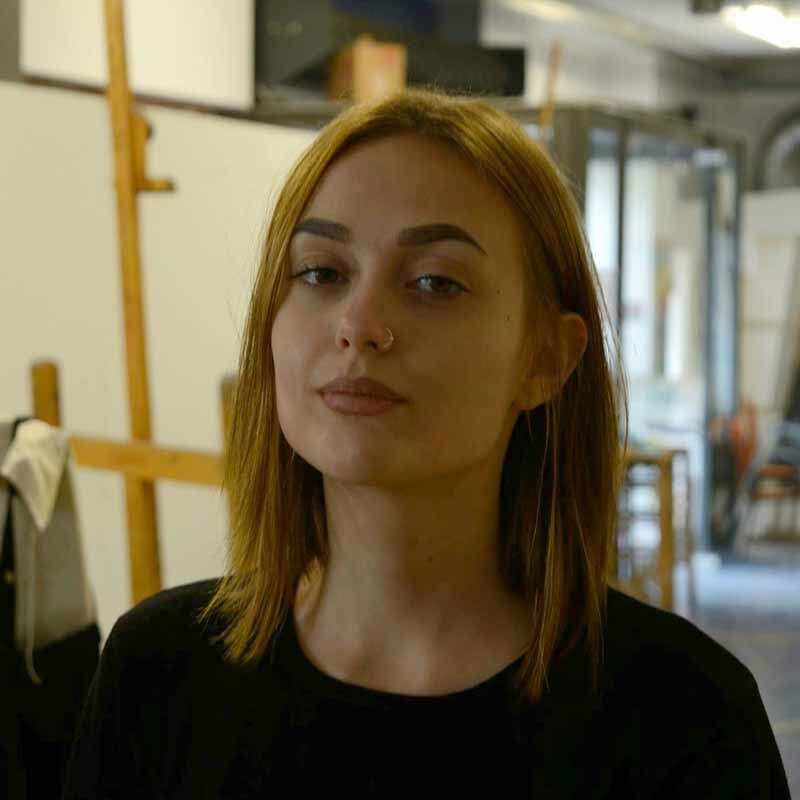 Chatzopoulou Paraskevi (Dot) was born in 1996, lives in Thessaloniki, and she is studying Fine Arts in Aristotle University of Thessaloniki. She had Photoshop, video editing, academic drawing/sketching, sculpting, photography, scenography and architectural design courses. She has exhibited her artwork in «AthensCon 2018» festival in Athens, «The Comic Con 3 and 4» in Thessaloniki, in «Geni Tzami» in Thessaloniki, and in the historic battleship «Averoff», in the context of the “VOTSIA 2017” events in Thessaloniki. In her spare time, she designs interiors, reconstructs old / damaged objects, creates figures and miniatures, and at this moment she illustrates the comic “Norman the Normal” based on the script of Thanos Katsoras.